Mr Burnes is Helloworld Travel Limited’s Chief Executive Officer and Managing Director. Upon completing his studies in Law and Commerce at Melbourne University in 1984, Mr Burnes completed his Articles and was admitted to practice as a barrister and solicitor in 1986. On 1st November, 1987 Mr Burnes founded The Australian Outback Travel Company (The AOT Group) at the age of 26. After the merger of the AOT Group and Helloworld Travel Limited (ASX: HLO) in January 2016, he took over as CEO and Managing Director of Helloworld Travel on 1st February, 2016. 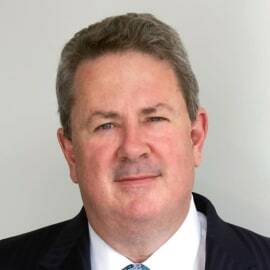 Mr Burnes was appointed as the Honorary Federal Treasurer of the Liberal Party of Australia in July 2015. He was the State Treasurer of the Victorian Liberal Party from May 2009 to early 2011. Mr Burnes has held a number of tourism industry positions including as a Director and then Deputy Chairman of Tourism Australia from 2004 to 2009 (including chairing the Audit and Finance Committee), as a Trustee of the Travel Compensation Fund from 2005 to 2008 and as a Board Member of the Australian Tourism Export Council (“ATEC”) from 1998 and as National Chairman from 1999 – 2003. In 2001 Mr Burnes received a Centenary Medal for his services to the tourism industry.